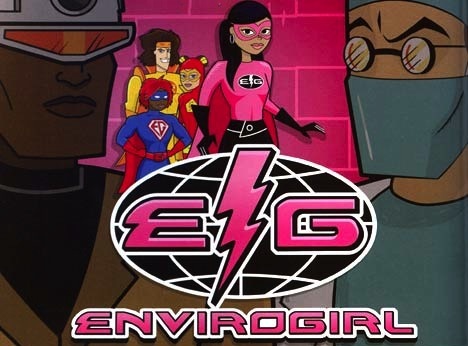 EnviroGirl is a comedic superhero who teaches kids about the importance of conservation. Season 4 was a 10-episode live-action miniseries, with a 7-character storyline, interwoven with comic book panels and voice-over, and each episode included a funny interview with a school-age environmental expert. EnviroGirl was highly praised by prominent Canadian environmental activist and broadcaster David Suzuki, who guest-starred with EnviroGirl in a previous season. Suzuki was the Environmental Yoda to EnivroGirl’s Recycling Jedi, and he even wore a golden cape. Role, all seasons: Series lead – EnviroGirl, Character concept. Role, Season 4 (10 eps): Writer, Researcher, Post-production Supervisor, Voice Director.